“I’m sure it’s along here somewhere” I reassured my husband as we retraced our route back down the tiny Cornish cliff top lane we’d just driven along, having ignored the directions helpfully provided for us and electing to rely on google maps instead. 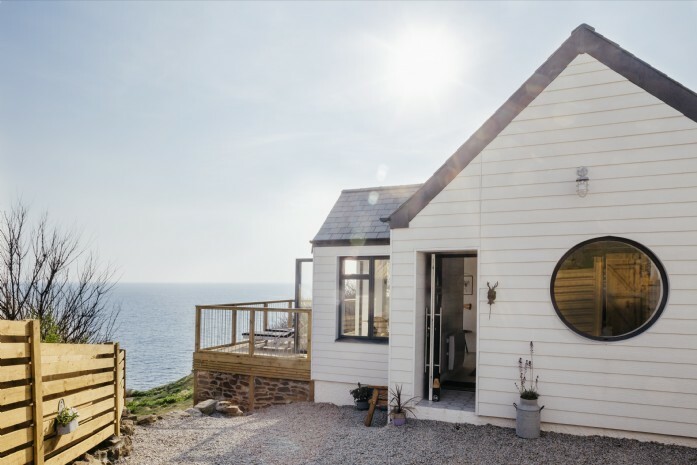 Because the first thing that strikes you on arriving at Delphin, apart from the fabulous location – just outside the charming harbour town of Porthleven between Marazion and the Lizard Peninsula - and the amazing views, is just how incredibly private it is. 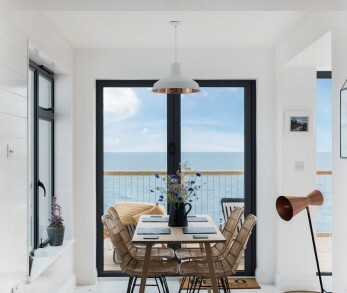 Tucked away at the end of a quiet cliff top lane and with a private terrace and balcony that look directly out onto the sea, it is almost completely hidden from view. 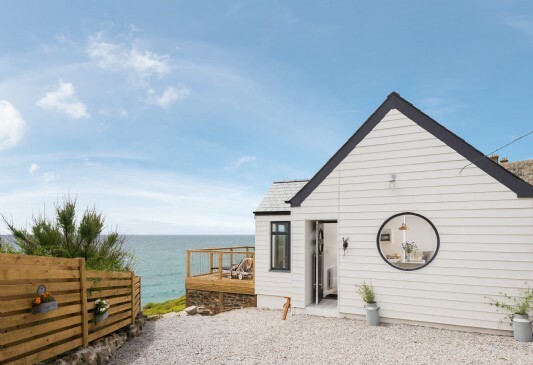 The gleaming white Scandi style beach house is one of the latest properties to be added to the Unique Home Stays portfolio and we were recently lucky enough to be among the first guests to stay there. Originally built in the 1950s the property has been both lovingly redesigned and thoughtfully furnished by the current owners. 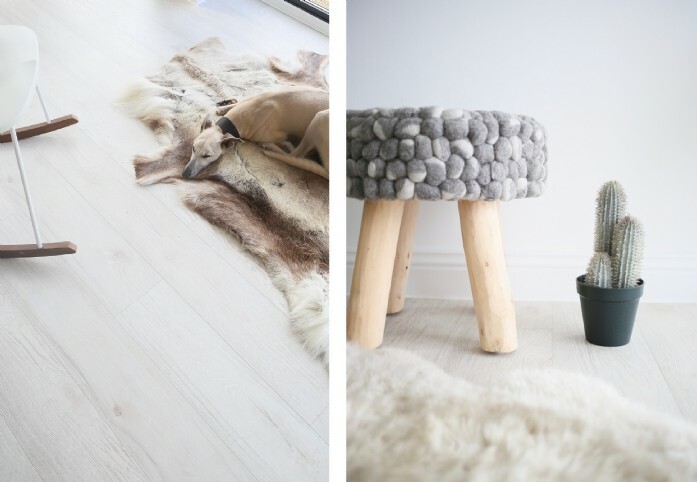 Spacious and luxurious, but designed to sleep just two (plus our whippet Albert in our case as Delphin is dog friendly) it’s the perfect bolthole for a romantic escape. We arrived to a welcome hamper and a fridge stocked full of everything we could possibly need for breakfast the next morning – eggs, milk, bread, butter and jam. This was so appreciated after our long drive as it meant that we could immediately relax and unwind without having to worry about heading out for supplies. 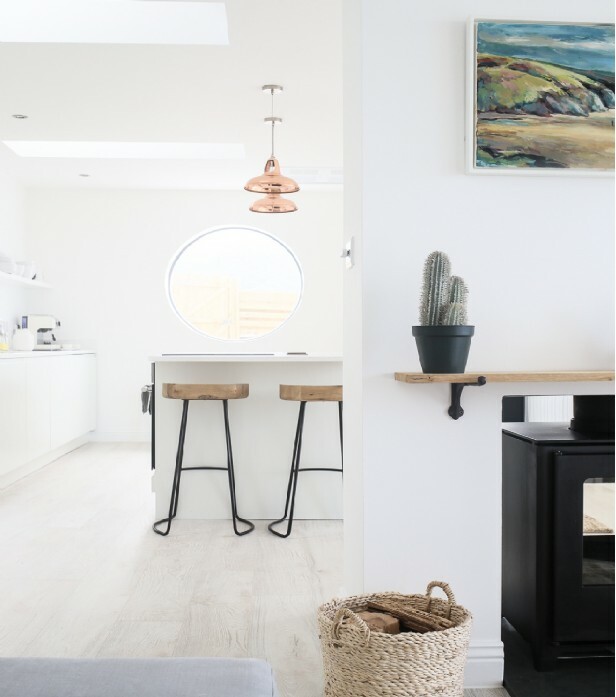 The interiors at Delphin are light, white and Scandi-inspired with pale floors, fur rugs, copper lighting and furniture sourced from stores including Skandium, Skagerak and Hem. There are luxurious linens and throws, scented candles and home fragrance from The White Company, and lovely Cologne and Cotton bathrobes. Basically Delphin offers all the comforts of a well-appointed home, combined with the luxury you’d expect at an upscale hotel. There are a few little unexpected extras too. There’s a Dualit coffee machine with an assortment of artisan coffees, a record player and a selection of vinyl and a lomo instant camera complete with a supply of film (I’d forgotten how much fun it can be waiting for your photos to develop). Outside there are sun loungers and a table and chairs for al fresco dining on the terrace as well as a comfortable sofa from which to sit and enjoy the uninterrupted views out to sea. There’s a firepit for chillier evenings too. We were also excited to find a pair of binoculars hanging on a peg next to the door. Seals and dolphins occasionally visit the area during the summer months and, although we weren’t lucky enough to spot any ourselves, we noted a sighting by the previous guests in the visitor book. Thankfully we didn’t need to use the double sided wood burner – it was the middle of July after all – but with all those lovely throws and fur rugs, a generous supply of logs and the incredible misty sea views I can’t imagine a more perfect place to snuggle up during the colder months, which let’s face it is probably at least nine months of the year in the UK! On our first evening we bagged ourselves a window seat at the Harbour Inn in Porthleven and ate fish and chips while the local brass band played outside - the perfect way to spend a summer evening in Cornwall. In true British fashion the weather was very changeable while we were at Delphin. We experienced everything from near perfect blue skies and sunshine to thick Cornish mizzle and back again. The following morning we woke up to discover that the horizon had disappeared under a blanket of mist. Rather than dampening our spirits this provided a magical opportunity to capture some moody sea shots and we set off to explore the coastal path and marvel at the wild, atmospheric beauty of this stunning part of Cornwall. Porthleven has a number of good foodie hangouts. Amelie’s and Kota were both recommended to us and Rick Stein also has a restaurant on the harbour front, but we passed up the opportunity to try these out and instead headed back to Delphin to enjoy the views, and open the bottle of champagne we’d left chilling in the fridge. Waking up to bright sunny skies on our final morning we enjoyed breakfast on the terrace before bundling our belongings into the back of the car and finally managing to wrench ourselves away from this idyllic hideaway. We left with wind tanned cheeks, natural sea salt waves in our hair and the sound of the Atlantic waves crashing into those Cornish granite cliffs still playing in our heads long after we arrived home. 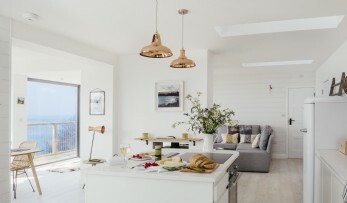 Images by Helen Powell for Design Hunter. 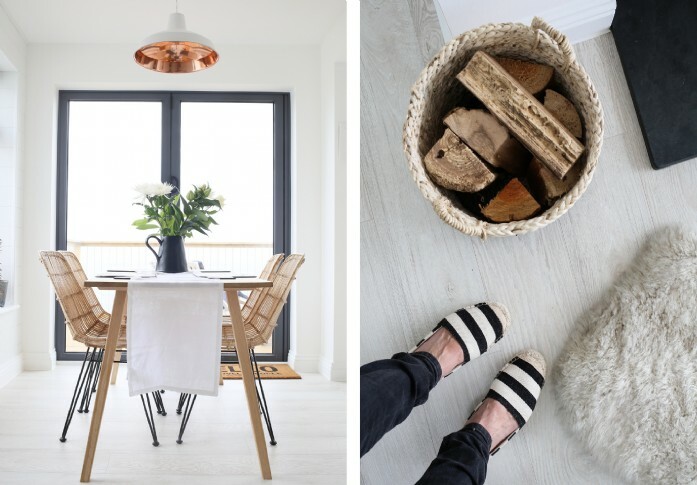 Helen Powell of Design Hunter is an award-winning UK design and lifestyle blog with a focus on understated luxury and modern design. Property OwnersEverything you need to know about becoming an owner. What is a Unique Home StaySome of the most exclusive private homes, offering unusual places to stay. Gift VouchersWhat better way to mark a special occasion than with the gift of treasured memories. Unique Properties for SaleWith only the most unique properties for sale on our books. We use a small number of cookies on our site to enable functionality including Google Analytics. By continuing use of our website you consent to their use.